Down in Dogpatch, ~THIRD RAIL~ is getting ready to open on Thursday December 12th. The new bar from Jeff Lyon and Phil West of Range has a transit vibe, with a long railway shape, a large clock, and booths designed to echo train compartments. We got a preview of the cocktails a few weeks ago; for more details check out our previous piece here. Pictures and more details on the space will be coming on Friday! Hours will be daily 3pm-2am. 628 20th St. at 3rd St., 415-252-7966. 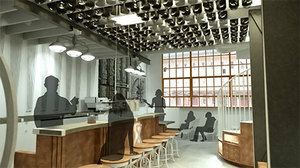 As previously mentioned on tablehopper, Rockridge is getting an outpost of San Francisco wine bar ~THE BARREL ROOM~. The new spot, from sommeliers Sarah Trubnick and Carolyn Johnson, is set to open on Thursday December 12th. You’ll find a selection of 50 wines available by the glass, with 200 choices by the bottle. Regionally focused flights will be available, with the region changing monthly; the first region will be France, with flights from Germany, Austria, and Italy also making appearances. They’ve signed Sam Paulding on as chef (previously of Oliveto), and will be offering a full menu of both small plates and entrées. The menu will change every eight weeks, with an opening menu of French offerings like brandade with toasts and Brie in puff pastry on the small plates list, with duck confit cassoulet with Toulouse sausage and boeuf bourguignon croustades keeping the entrée list hearty. There is also a selection of charcuterie and cheeses. You can catch happy hour Tue-Fri 4pm-5:30pm, with $7 wine specials. 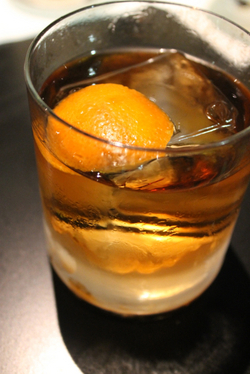 Hours are Tue-Sun 11am-10:30pm for the kitchen; the bar will remain open until 12am. 5330 College Ave. at Bryant, Oakland, 510-655-1700. 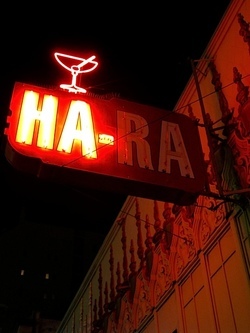 Ummm, I am not quite sure to make of this post on Tenderlife that the ~HA-RA CLUB~ is up for sale. Nooooo! Rick the owner is full of amazing stories. I remember Carl the bartender was as salty and mean as they come, so delightfully cranky until he decided he liked you and would give you a Budweiser mini, but then skip your selection on the jukebox (that you paid for) with his remote as he shouted, “I hate this song!” It was like having Archie Bunker as your bartender. The boxing memorabilia is awesome (the Ha-Ra got its name from the founders, pro wrestler Hank Hanastead and heavyweight boxer Ralph Figari, Rick the owner’s dad). No one picked up when I tried calling for info, so I think I’m gonna have to come by for a drink and see what’s going on before I get sad. 875 Geary St. at Larkin, 415-673-3148. Last week I received an email (after my column posted) from Michael Krouse of Madrone Art Bar, who wanted to follow up on our post and let us know he was the new owner taking over ~POP’S BAR~ in the Mission. In his email he said, “Please let it be known that POP’S is not going away. Pop’s was started in 1947 by Jack O’Connor, after his return from World War II. His father helped him open the bar, hence the name. In my opinion, any bar that has lasted 67 years has earned the right to carry on. There will be changes, however they will be done with a nod of the hat to all the owners that have come before myself.” I followed up with a phone call, and Krouse said remodeling won’t start until 90 days or so after the transfer, and that he’s still figuring out what the renovation will entail. He said he has always liked the bar, and wants to maintain its sense of history and character. And cheap beer will still be available too. 2800 24th St. at York. A rendering of the Long Now Salon. Courtesy Long Now’s website. There is a very cool new bar project afoot in Fort Mason: the ~LONG NOW SALON~, from the Long Now Foundation, a group committed to fostering long-term thinking. The salon recently signed local bar maven Jennifer Colliau (of the Charles Phan Group) on to run the show, according to Scoop. The salon, which is set to open in early 2014 (or 02014, as the foundation would say), will be designed as a café space with tea service during the day, and a bar by night, with a theme of “time.” Because it’s on federal land, state liquor laws will not apply, meaning they can stay open past 2am (perhaps timeless is a better way to put it). There will also be robots, including one that is responsible for changing the chalkboard specials, a variety of well-considered nonalcoholic drinks, and beverages that focus on time (think aged spirits, and cocktails that have a long history or are near-extinct). For lots of details on the space, as well as the Foundation’s approach to the salon and to donate to their Kickstarter-like campaign, check out this interview with Colliau on Long Now’s blog. 2 Marina Blvd, Fort Mason Building A, 415-561-6582.